As the last SuperSprint round before the PIRTEK Enduro Cup, this weekend will set the scene for the championship’s critical stretch. Scott McLaughlin currently enjoys a 129-point championship lead and another strong run in Sydney will enable him to enter the two-driver events with a comfortable margin. His closest pursuers Jamie Whincup, Fabian Coulthard and Shane van Gisbergen have each had one shocker in recent events and can ill afford another. 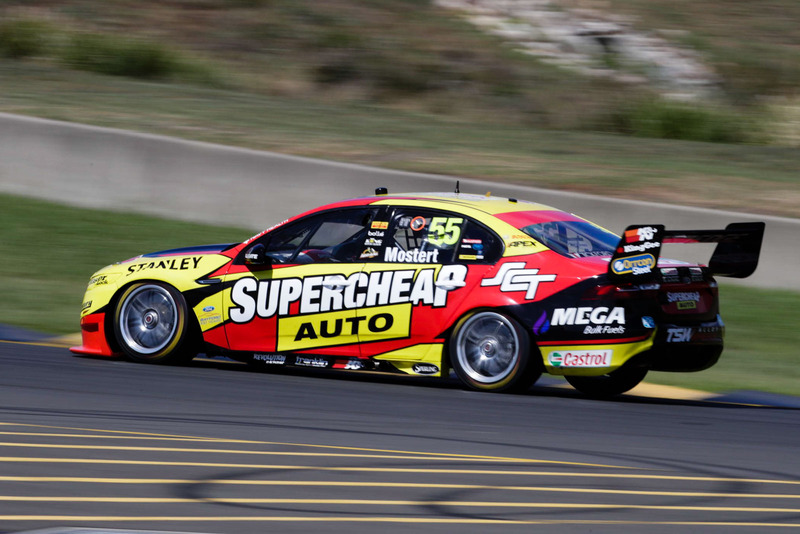 Chaz Mostert meanwhile sits 351 points down in fifth after his recent Ipswich win and appears to be the only other driver with a realistic chance of overhauling the flying #17 Ford. There may only be six Ford Falcons in the field, but it’d be no surprise to see all six in the top 10, at least in qualifying. The FG X clearly remains a very good package and between Shell V-Power and Prodrive has won 11 of the season’s last 13 races. Prodrive has notably seen progress from all four cars at recent events, with Jason Bright qualifying its fourth entry in the top dozen for each of the last three races. Mostert led the team’s charge in Sydney last year with two poles and will undoubtedly be fast again, at least over one lap. Sydney Motorsport Park’s abrasive surface and long, flowing corners makes it one of the year’s toughest on tyres. Although a pre-season test was run here in February, teams have developed their cars considerably since, ensuring tyre life is still somewhat of an unknown. Camber settings and the prospect of failures is again a big question mark, especially after the late-race drama last time out at Ipswich. Regardless, tyres will dominate pit strategy in both races and, with the undercut very strong, it promises to deliver two intriguing contests. Shell V-Power, Triple Eight and Prodrive are again expected to fight over the top spots, but who the will prove best of the rest is anyone’s guess. Brad Jones Racing filled that role last time out at Ipswich, with Tim Slade particularly strong. Elsewhere, Garry Rogers Motorsport will benefit from having run its Holdens here at the pre-season test, where Rick Kelly’s Nissan proved the pace-setter. David Reynolds and Erebus have been consistently finishing in the top 10 this season and again threaten to be strong here, while Mobil 1 HSV will also have expectations of a top 10 run following its recent test. The Dunlop Super2 Series battle resumes at Sydney Motorsport Park with a notable one-off entry in the field. Richie Stanaway’s much-hyped first solo appearance in a Supercar promises to show where the globetrotting Kiwi sits among the current crop of main series hopefuls. Todd Hazelwood leads the series and has strong momentum following a maiden round win in Townsville and a confidence-boosting championship debut at Ipswich. Paul Dumbrell is 66 points adrift in second, while Jack Le Brocq is 168 down but again expected to be a race-winning threat on a circuit that should suit his Nissan.